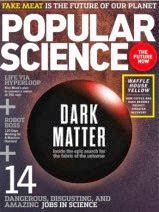 You can get a free subscription to Popular Science. This is from Mercury Magazines. It is completely free, and there are no automatic renewals. This is perfect for students. My kids always had to do reports on science articles. This is only available for a short time.